This genuine leather purse was made in Uruguay by Bugatti. 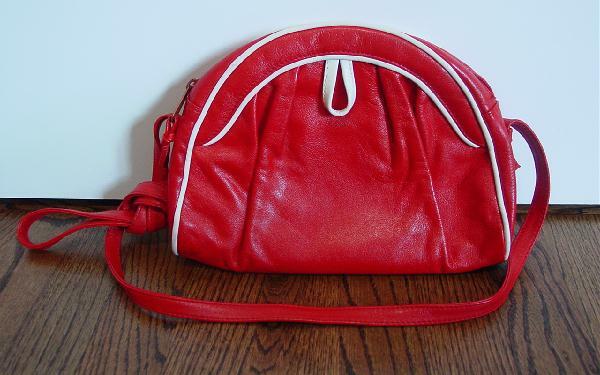 It has an arch shape in red with a white leather cord trim. There is a 51" long shoulder strap with a top side to side zipper. 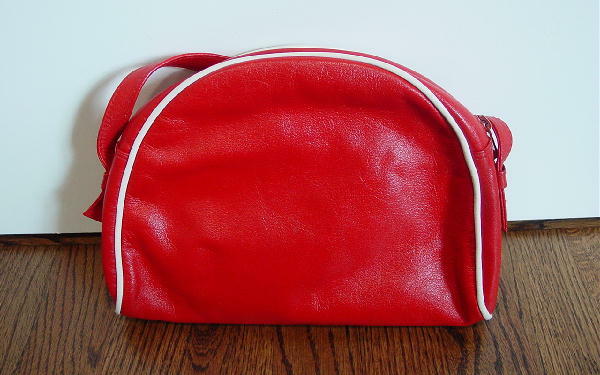 It has a red brushed cotton lining with an interior side zippered compartment with a red thick fabric lining. The color is deeper and brighter than it appears in the pictures. It's from a stylist's inventory, and was used once, for pictures for a model's portfolio.